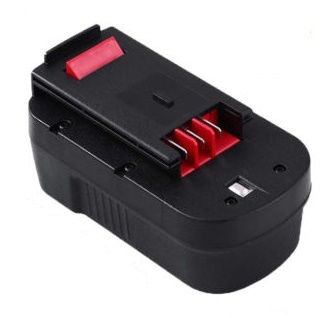 HPB18: 18.0 volt 3600mAh NiMH battery for Black & Decker cordless power tools. Replaces part #s: SS18, GCO18SFB, GLC2500, 244760-00, HP188F2B, HP188F3B, HP188F3K,HP188F4BK, HPB18, HPB18-OPE, HPD1800, HPD18K-2, HPG1800, HPG18K-2, A18, A18E, A1718, FSB18, FS18FL, FS18BX, FS180BX, FS188F4, NS118, NST1810, NST2018, NST2118,NSW18, NHT518, NPP2018, NPT3118, BD18PSK, BDGL1800, BDGL18K-2, CD182K-2, CD18SFRK, CD18SK-2, CDC180AK, CDC180ASB, CDC18GK2, EPC18CAK, EPC18CABK, PS18K2, PS182KB, XTC18BK, XTC183BK. 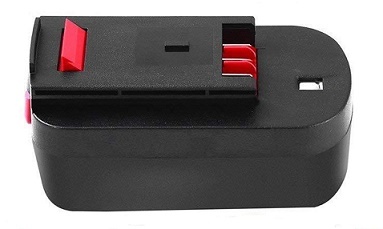 Compatible with: Black & Decker FSL18, FS18HV, FS18PS, FS18PSK, FSX18HD, FSX1800HD, FS1800S, FS1800JS,FS18RS, FS1800RS, FS18CS, FS1800CS, FS18ID, FS1800ID, FS1800D, FS1800D-2, FS1802D, FS1802S, FS1806CSL.